09 | April | 2011 | A World of Inspiration and a little extra! To change your life, change your beliefs “simple”. 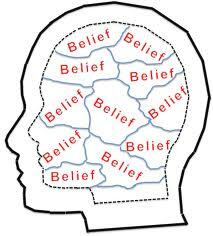 Beliefs are a powerful mechanism by which our subconscious mind gets programmed. Whatever our beliefs, our mind strives to prove to us that it is true. We get back what we believe about the world, as the universe has no choice but to offer situations that match our beliefs. Thus the best way to create better experiences is to take away all limiting beliefs that we have formed about ourselves and replace them by positive beliefs. Elephants in captivity are trained from an early age not to roam around beyond a restricted area. One leg of a baby elephant is tied with a rope to a wooden post planted in the ground. The rope confines the baby elephant to an area determined by the length of the rope. Initially the baby elephant tries to break free from the rope, but the rope is too strong. The baby elephant “learns” that it can’t break the rope. When the elephant grows up and is strong, it could easily break the same rope. However since it learned that it couldn’t break the rope when it was young, the adult elephant believes that it still can’t break the rope, so it doesn’t even try. This is how we limit ourselves with our beliefs throughout our life. The only limitations we have are the ones we impose on ourselves. Meditation is difficult and does not work for me. I am to too old to be able to learn that now. I am too young to learn about spirituality now. I am not good enough for the task. I am good, but this world does not favor good people. I am loved. There is no lack of love in my life. Everybody I meet is beautiful, wonderful and full of love. Everybody I encounter is helping me on my path – they are out there for me as I am for them. Everybody I interact with is God in human form giving me the exact experience I asked for – good or bad. If it’s not something I like, then there is something I need to learn that I have not yet learnt. Everybody around is conspiring to make me successful. Jack Canfield calls this “Being an Inverse paranoid”. Everything I need is within me – there is nothing I lack. I attract the right people, things and situations in order to experience life the way I am here to experience. Ego is simply an idea of who you are that you carry around with you. As such, it cannot be surgically removed by having an egoectomy! This idea of who you think you are will persistently erode any possibility you have of connecting to intention. Commentary by Joanne wellington It is well known that our ego is the real obstacle to the progress in our spiritual evolution. What Dr. Wayne Dyer refers to as “Connecting to intention” is known by different terms such as “Connecting to source” in law of attraction, “attaining higher states of consciousness” or simply to be “One with God”. It is the ego that keeps us disconnected to our source. It is our ego that divides the world into winners and losers. While performing to the best of our abilities is necessary, the real problem happens when we start associating our self-worth to winning. If our self-worth is associated with winning, sooner or later we will get disconnected from source, as it not possible to win all the time. There will always be someone faster, stronger, younger, smarter on some day. The natural job of the ego is to make ourselves right, and make others wrong. Being connected to our source is being kind, loving, receptive and at peace, without any anger, resentment or bitterness. Giving power to the ego is encouraging it’s natural hostility, and when one is hostile, he is disconnected from the source. The ego is the reason many beautiful relationships are destroyed. In moments when the ego kicks in strongly, one can ask ourselves “Do we want to be right or do we want to be happy?” Choosing to be happy keeps our connection to our source and helps us create the life we want. All of us are equal in the eyes of God. Each and every person is a manifestation of divinity. We all have a special purpose of our own. No one is inferior or superior. However it is natural for the ego to identify others on the basis of their appearance, achievements, intelligence and possessions, and judge itself as superior in some way. A superiority complex is a form of hostility, and attracts back only hostile feelings, and keeps us disconnected with source. The ego is never satisfied and always wants more. No matter how much one achieves or acquires, it is never enough for the ego. However this constant need of wanting more keeps one perpetually in a state of lack, and only brings back more lack. Instead, when we let go of this need to have more, we naturally start attracting abundance in our life. The nature of source is to be contended, without any lack, and hence contentment is necessary to be connected to the source. The ego’s concept is that “I did it” – It is I who achieved everything. All spiritual students are taught that “We are not the doer”. What does that mean? It means giving up the need to take credit for all achievements. A person advanced on the path realizes that ultimately all talents are given by Him, and the credit for all achievements also goes to Him. We just need to be grateful that He has given us unique talents with which we fulfill our purpose in this world. Taking all credit for our achievements is like the pen taking credit for writing a poem that the poet penned down. As long as we think “we did it”, the ego is active and we are disconnected from our source. Your reputation lies in the minds of others and you have no control over it. When we are overly concerned about what others think of us, we are disconnected from our source and become a slave to other’s opinions. The real voice to listen to the voice of the heart – in doing so one is truly connected to his purpose and fully connected to the source. Your reputation has nothing to do with you – so let others debate over it.